Rimbaud famously said "Je est un autre." I say, "Je est une coeliaque. 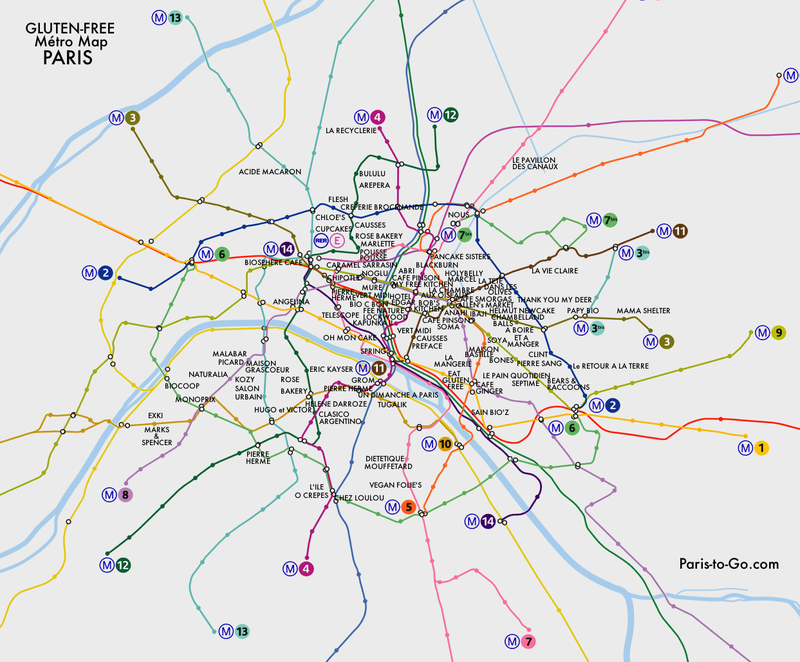 "* Click to download the Gluten-Free Métro Plan de Paris in PDF form. To read the original gluten-free guide to Paris, click here. *I can't believe I have to explain this to people, but this is a joke. In real life I say "Je suis coeliaque," or "J'ai la maladie coeliaque."